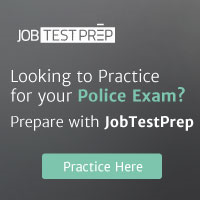 If you are interested in becoming a part of the St. Joseph Police Department please visit Human Resources at City Hall, 1100 Frederick Avenue, 4th floor to pick up an application and for testing dates and times. If you have questions please call (816) 271-4670 during business hours Monday through Friday. The Human Resources Department tests periodically throughout the year and establishes an eligibility-hiring list based on final results achieved by individuals whom apply. Return to the Missouri Jobs page.